Rosella LaFevre lays out the dos and don’ts of spring fashion this year, so ladies on campus can look their best while soaking up some sun. This winter, a nearly unanimous – though objectionable – vote by my lovely peers in favor of a comfortable three-piece ensemble had many of them traipsing through the snow in North Face jackets, leggings-as-pants and UGG boots. 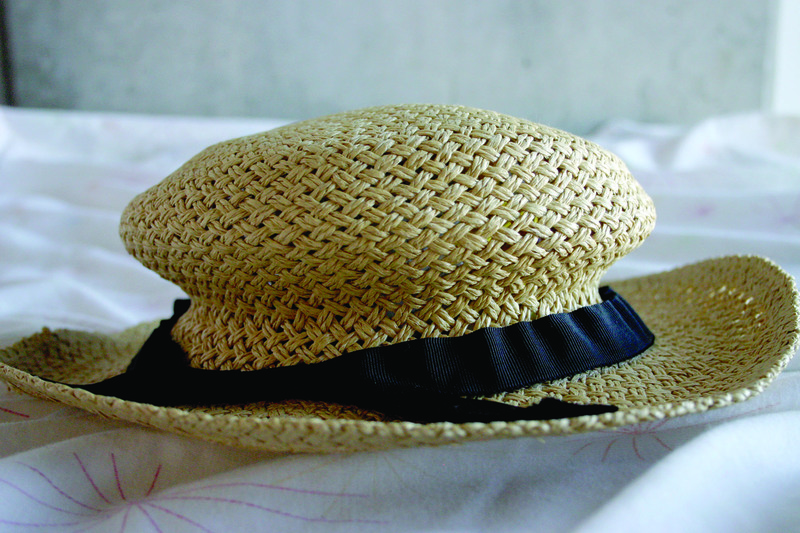 ESTHER AKINTOYE TTN This Deena & Ozzy straw boater hat is a Shop Class pick for this spring fashion season. This spring you can, and should, be just as comfortable in a softer, more feminine look. Think sundresses and cropped blazers, sun hats and brand-spanking-new white Keds sneakers. Consider Sookie Stackhouse from HBO’s True Blood your warm-weather style sister. Sookie Stackhouse, played by a beautifully blonde Anna Paquin, is a waitress at a bar in Louisiana’s Bon Temp who happens to wind up dating a vampire (for those of you who don’t know). She favors sundresses and cardigans and other style choices appropriate for a ladylike southern belle. “I’ve shopped for most of the cast at Walmart, Kohl’s, Kmart, JCPenney, Sears – all the stores that real people from Bon Temps could afford,” Audrey Fisher, the show’s stylist, told Amy Wilkinson with MTV’s Hollywood Crush. 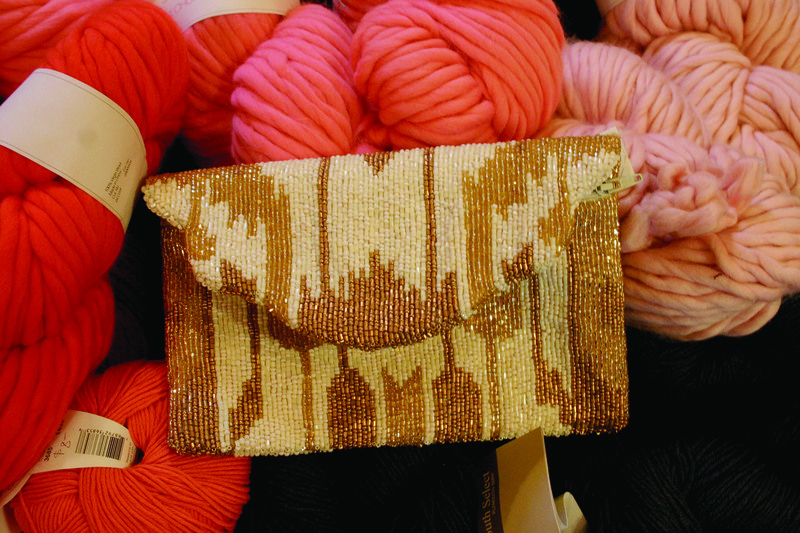 You’ll be all smiles riding the Blue Line after you stop by Vagabond, located at 37 N. Third St., to scoop up a hand-beaded, silk lined tri-color clutch from Moyna Bags. At $120, the gold and white handbag sure is a lot pricier than your SEPTA fare, but wearing your money is so much fun. After buying that clutch, you will likely have to bag your lunch. But please don’t dribble mayonnaise on your Rittenhouse paper bag waist skirt from Art in the Age (116 N. Third St.). This voluminous black skirt would look fantastic with a simple white tank and affordable ballet flats – Target and Wal-Mart are great resources for these wardrobe staples after spending $160 on the Rittenhouse skirt. Your last boutique stop on your way to Sookie Stackhouse-inspired style is Arcadia Boutique at 819 N. Second St. Here, you should pick up a pair of Rich and Skinny boyfriend jean shorts. On sale now for $67, these will be your go-to bottoms this spring. ESTHER AKINTOYE TTN This Vagabond clutch is a Shop Class pick for this spring fashion season. My favorite pieces for spring are at Urban Outfitters, at 1627 Walnut St. The Deena & Ozzy straw boater hat, which comes in natural (tan) straw with black circling the base just above the floppy brim, is picturesque at $34. Pair your Deena & Ozzy hat with the Kimchi Blue white-eyelet sundress also available at Urban Outfitters and you’ll be the prettiest girl soaking up the rays while lounging on the lawn outside Johnson and Hardwick residence hall. Then there’s the Lucca Couture cropped jacket, $58, in a black-based floral or zebra print. Top your Rich and Skinny shorts with this jacket and you’re sure to inspire that cutie in your drawing class – hopefully you’ll even get a phone number to slip into the pocket of those jeans. Cinch your Lucca Couture jacket with the Sash from American Apparel at 3661 Walnut St., on the same block as Urban Outfitters. At $16 and available in nearly 20 colors and patterns, you could probably spring for an armful. Fisher would surely approve of this budget-conscious fashion. American Apparel’s satin charmeuse jumper pants may not be very Sookie Stackhouse, but they look like they’re worth much more than $40 and are as comfortable as leggings. Rosella Eleanor LaFevre can be reached at rosella.lafevre@temple.edu.